Share the post "Basswood or Linden Tree Interesting Facts And Uses"
Tilia is a genus of about 30 species of trees. The genus is generally called Lime or Linden in Britain and Linden, Lime, or Basswood in North America but they are not closely related to the lime fruit. The genus occurs in Europe and eastern North America, but the greatest species diversity is found in Asia. Tilia is a beautiful, large and long-lived tree. In Europe, some linden trees reached considerable ages. A coppice of Tilia cordata in Westonbirt Arboretum in Gloucestershire is estimated to be 2,000 years old. Linden came to Earth over 70 million years ago. Basswood or Linden tree grows to a height of 30 to 40 meters. It is recommended as an ornamental tree when a mass of foliage or a deep shade is desired. The leaves of all the Tilia species are heart-shaped and most are asymmetrical. The flower of this tree is blooming in summer, in late June and early July. Flowers emit a beautiful and relaxing scent, sometimes it can be too strong. You can eat flowers, the leaf buds and young leaves raw. The tree can produce seeds when as young as eight years and continue to 100. Past 120 the tree starts to get a lot of “cavities” and becomes home to a lot of woodland creatures. All of the Tilia species may be propagated by cuttings and grafting, as well as by seed. Linden trees produce soft and easily worked timber, which has very little grain. It is also a popular wood for model building and for intricate carving. Good acoustic properties and ease of working also make limewood popular for electric guitar and bass bodies and for wind instruments. Percussion manufacturers sometimes use tilia as a material for drum shells. Bast (a type of fiber) obtained from the inside of the bark of the Tilia tree has been used by the Ainu people of Japan to weave their traditional clothing, the attus. The Indians soaked the bark of the Basswood for two to four weeks to loosen long fibers. They used the fibers for many of their needs: Bags, baskets, belts, fishnets, house mats, snowshoe netting, ropes, sewing thread and even suturing wounds. It was used where a lot of fiber strength was not needed. 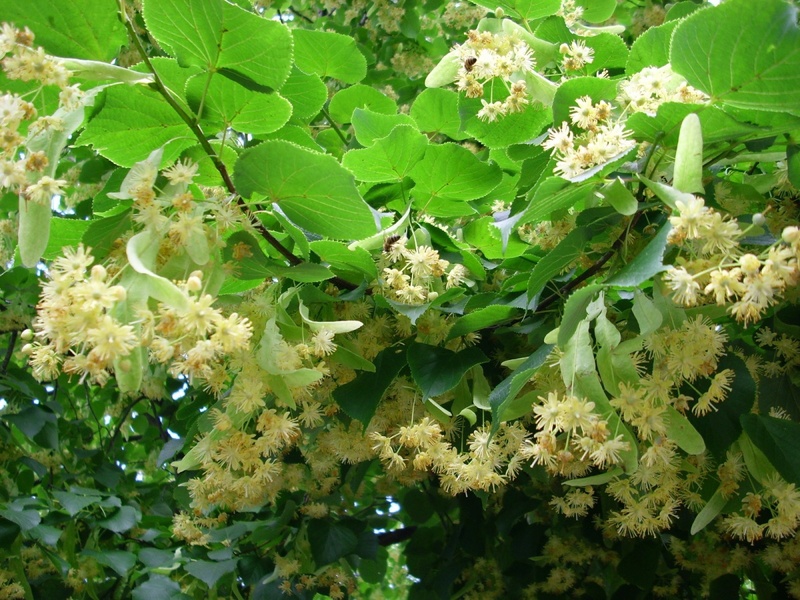 The double-flowered species of Tilia are used to make perfumes. Some Lime trees (Linden trees) are favoured by beekeepers, and Linden honey is especially popular in Romania or Ukraine, for example. Linden is called sometimes the “bee tree” because bees love the fragrant nectar from these large shade trees. But be careful, as reputedly some lime trees (tilia) are poisonous for some bee species and less toxic for others, or have at least a narcotic effect. 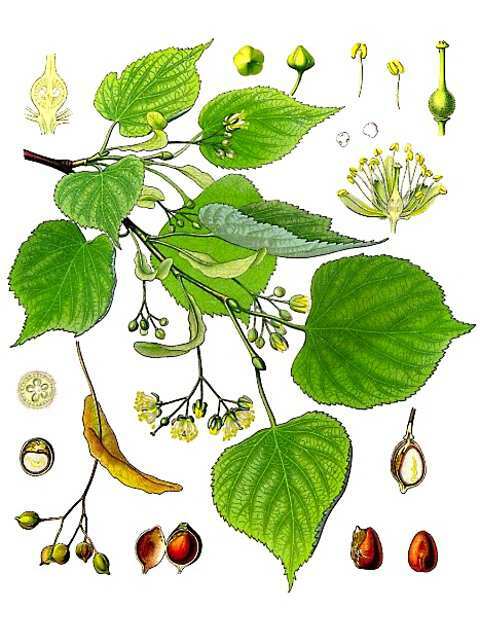 In Greek mythology Homer, Horace, Virgil, and Pliny mention the Linden tree and its virtues. As Ovid tells the old story of Baucis and Philemon, she was changed into a linden and he into an oak when the time came for them both to die. In German folklore, the Linden is the “tree of lovers”. Slavic people used to plant linden close to churches, houses, and important meetings places. They believed that lightening would not hit the holy tree, so people hid underneath it during thunderstorms. Linden branches were brought for healing if there was an ill person or animal in the house. Nobody could break or cut the Linden tree without special needs. People also were making talismans of the linden wood. In the Slavic Orthodox Christian world, linden wood was the preferred wood for panel icon painting. June is called Lipanj in Croatia and July is named Lipenj in Ukraine and Lipiec in Poland, after the month when the linden tree blooms. The Linden was also a highly symbolic and hallowed tree to the Germanic people in their native pre-Christian mythology. Originally, local communities were gathering together not only to celebrate and dance under a Linden tree, but to hold their judicial meetings there in order to restore justice and peace. Linden wood was often used by Germanic Tribes for constructing shields. Most medicinal research has focused on Tilia cordata. The flowers, leaves, wood, and charcoal (obtained from the wood) are used for medicinal purposes. 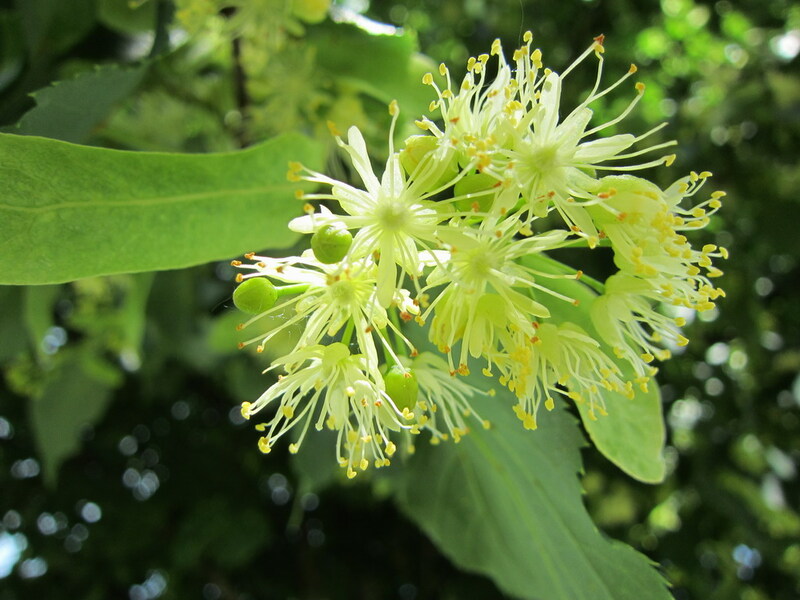 Active ingredients in the Linden flowers include flavonoids (which act as antioxidants) and volatile oils. The plant also contains tannins that can act as an astringent. Linden flowers are used for colds, cough, fever, infections, inflammation, high blood pressure, headache, and as a diuretic, antispasmodic, and sedative. Flowers may be also hepatoprotective. The wood is used for liver, gallbladder, and intestinal disorders, as well as cellulitis.